Although not technically selling this book, I am quite privileged to be on the official launch team! It is very easy to think you have the author, Heather Nelson figured out when you meet her…beautifully restored turn of the century house, adorable twin girls, a devoted, mission minded pastor husband. Add to this a successful counseling practice and book deal and it starts to get much easier to listen to that voice….the one that insists….you will never measure up. Just like that,the voice of shame becomes stronger than the soft whisper of God’s assurance…”you are perfect in my eyes”. Shame, the thief that robs us of the glorious freedom and contentment is no stranger to most women…every human being if we are honest. But even more insidious, it convinces us we are alone and the only way to function is to push it down, cover it up and deny. If no one spots that shame at least we can appear to have it all together. Heather bravely steps up and pulls the curtain back to exposure the lies of shame and helps us through the steps to acknowledge and face our “secrets”. Only then are we to experience true joy. By sharing her own story Heather breaks down her own outer shield of protection but you also see how God replaced it with joy…and you find you love her even more. Heather’s book will be available from Crossway publications on June 30, 2016. It is available for pre-order through Amazon. Just follow this link. … the word sampler is derived…simply meaning “example”…a demonstration in skill. Needlepoint samplers were mainly school exercises during the 18th and 19th centuries, when stitching of samplers was believed to be a sign of virtue, achievement and industry, and girls were taught the art from a young age. Often these lovely and imperfect works were used as household rags and lost forever but others were tucked into trunks and dressers to save and cherish. Susan Combs, age 12, completed this wonderful sampler in 1823, everytime I walk by it I am blown away that it survived almost 2 centuries. I hang this work in awe and wonderment. This one is unsigned but seems to be the work of a very young girl still challenged by spacing. When I walk by it I am reminded that life is a process. We need to enjoy the journey and forget the notion of perfection. There is beauty in imperfection. I hang this work in gratitude. What happened to Caroline Smith , age 12 ? Why is her sampler unfinished? Why was it kept in pristine, immaculate condition for almost 175 years? Her life, perhaps cut short, remains a mystery. When I walk by it I am reminded that life can be sobering, fragile and often taken for granted. I hang this work in remembrance. Not every sampler in my collection is old, or even vintage, but they do commemorate life changing events in my life…becoming a wife and becoming a Mama…they were completed by my own mother and will be cherished and loved for many generations. I hang these works in love. I have an invitation to tea. I love shopping in my Pajamas! As much as I enjoy exploring the antique stores and flea markets, sometimes I just want to sit on my couch, watch HGTV (for inspiration of course)…and shop. The beauty of it…you have the whole world literally at your fingertips. Those flea markets in Paris…or Round Top TX are right there waiting! Here are a few of my favorites! Bella Rosa Antiques-In addition to an amazing blog and weekly link up party, Jill has an amazing online antique store. Her prices are awesome and packaged well…I will be a repeat customer. Time Washed-Another Gorgeous blog and store. A highlight of my Fall is the opening of her pumpkin patch, but beautiful things are available all year. Cedar Hill Farmhouse– If rustic French farmhouse is your vibe you will find treasures here…another inspiring blog as well. Plus one of the biggest weekly link ups available! Marie’s Maison-French at its best…right from the source. Beautiful, elegant and classic French farmhouse antiques at super good prices. 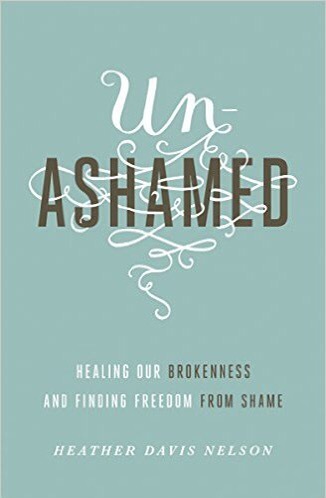 As summer approaches and you are organizing your trips and reading lists I would highly recommend placing “Un-Ashamed” by Heather Davis Nelson at the top of the list. I just can’t seem to put it down…Thank goodness the Princess found nap not to be optional this week..it speaks to a subject that ,unfortunately, seems to hinder most woman from truly experiencing the fullness of God’s holy plan…shame. Heather’ s book will be available from Crossways beginning June 26, just follow this link to Amazon to pre-order.In the meantime, get to know Heather on her inspiring blog Hidden Glory. I love a Good Story…. How delightful are these gorgeous children’s books…my Uncle cherished them in the 1800’s….amazing that they are is perfect condition. I am so eager to display these vintage Halloween postcards next fall…dated 1908…my Grandmother exchanged them with friends. Could this little red painted chair from my childhood be any cuter? …and I still frequent our local Home Goods and Marshalls. I have a thing for high quality sheets at bargain prices…and shoes. So, this book seems to be EVERYWHERE.. and because I can always use a bit of tidying magic I placed myself on the. Looooooong list at our library , 3 months long, and dove in with good intentions when it was finally available . My take away….put it away when you are done and if you are not using it, get rid of it. Also, I am suppose to thank my purse each evening for working so hard. Not a life changing book but it did make me more aware of some of my own routines that seem to keep my household sane. This household consists of slightly ADD me, a husband with an unusally high tolerance for clutter and a three year old who’s sole purpose in life seems to be dismantling my house bit by bit each day. Every Sunday I create a weekly to do list…I list everything from Doctor appointments to gymnastics to laundry. Then, I fit it all into my calendar. It seems to ease my mind to see it is possible to get it done. Then, I give myself permission not to get it all done, because things happen. When we are done with something we put it away in the correct spot in the correct room…everyone…even the toddler. I forgo Valentine flowers, birthday gifts, and expensive anniversary celebrations for a cleaning service…it works for us. Thank you God for this magnificent reminder…right outside our front door.